Survey time. 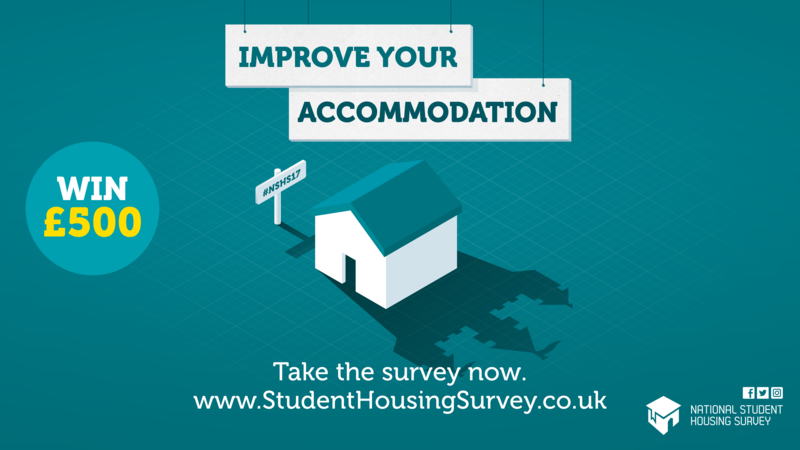 Whether you’re a first year student in halls or a postgrad in shared housing, we’d love to hear your feedback. We know, we know… it’s that time of year when your inbox is full of survey requests, feedback forms, and vague murmurings of exams. Ugh. You could win cash prizes up to £500! So, what’s the National Student Housing Survey all about then? As you’ve probably guessed, the aim is to collect honest, relevant feedback from you students on just about everything accommodation-related. What do HudLets get out of it? As we’re run by students, for students, we’re 100% focused on making sure our services suit you down to a tee. The anonymous feedback we get from the National Student Housing Survey not only lets us compare the performance of Huddersfield’s accommodation providers with those in other areas of the country, but also lets us know what Huddersfield does really well (and maybe not so well) so we can lobby accommodation providers to make your student life better. In all honesty, not that much! It’s easy to fill out, and shouldn’t take you more than a few minutes. We know it’s rare to have that perfect accommodation experience though, so don’t be afraid to give us the full low-down on how everything’s been – from the initial booking to how the paint on the walls held up! Remember; it’s completely anonymous so don’t be afraid to speak your mind. Ready? Click here to fill in the National Student Housing Survey! Experiencing issues at the moment? No worries, we’d be happy to chat with you right away. You’re free to drop in to the HudLets office Monday to Friday, 10:00am – 4:00pm.